18 Sep Which Type of Roof Tile is Most Durable? Your roof is one of the most important features on your home. It protects your loved ones from the unpredictable weather outside, and it ensures that the structure of your home remains stable. Without a reliable roof, it would be impossible to live comfortably in your house. It really is as simple as that. When the time comes to change the tiles on your roof, durability should be the first characteristic you look for in your roofing materials. 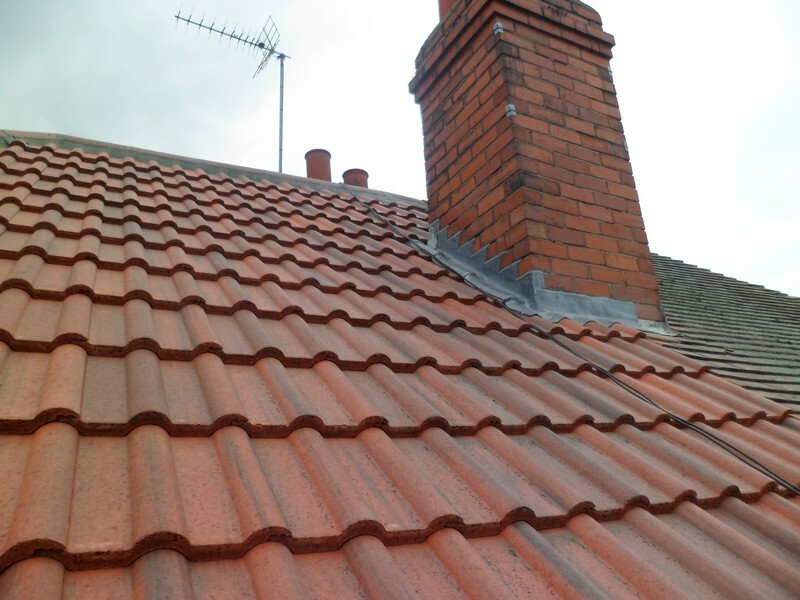 Though it’s important for your tiles to match the aesthetic of your home, durability will allow you to enjoy your new roof for years to come, helping you get the most value out of your investment. Here are some of the most durable tiles, and how long they can last. Asphalt shingles typically last for between 15 and 30 years. They’re currently the most popular material on the market due to their low cost and versatility. However, it’s essential that you don’t choose the cheapest asphalt shingles for your home. Even if you’re on a tight budget, look for shingles that have a good hail rating to indicate good impact resistance and durability. Roofing material manufacturers are not legally required to report their hail ratings. However, you can ask about the sturdiness of the asphalt you’re considering purchasing in advance. If the manufacturer can’t give you any answers, take this as a warning sign. Wooden shingles aren’t very common in the United Kingdom, but they are available in some areas. This roofing material is usually made using redwood or cedar, because of their fire-resistant qualities. Wooden shingles can last for between 30 to 50 years. However, although they have more longevity than asphalt shingles, wood is less durable because they’re prone to cracking and warping. Despite this, in some parts of the country, wood may be effective, as wood is a natural insulator, ideal for keeping your home at the right temperature all year around. Wood is also the most sustainable material for roofing on the market. Metal roofing is applied in sheets rather than tiles, and usually, it can last for about 30 to 50 years, the same as wooden shingles. Your metal roof may be made using steel, zinc, or aluminum. The material you choose will dictate how expensive the roofing is, but metal is generally more expensive than asphalt and wood. Metal roofs are highly durable and resistant to wind, hail, and other weather conditions. These materials work well in inclement weather, which is ideal for the UK marketplace. However, most people feel that metal roofing doesn’t look as attractive as traditional tiles or shingles. Plastic polymers can last for periods of more than 50 years and are a highly durable material for any home. These shingles are designed to look like slate, but they require a lot less maintenance. Additionally, polymer roofs also have higher than usual rail ratings, which means that they’re great for British winters when storms and hail are common. Although plastic polymer roofing is one of the least sustainable materials on the market, they make up for this by being very energy efficient. Plastic roofing, similar to metal roofs, can reflect heat rather than absorbing it, which means that your home stays cool during the summer and warm during the winter. Estimations of lifespan for clay tiles vary depending on who you ask. Some people state that these roofs can last anywhere up to 100 years. However, they do require more maintenance than the standard plastic polymer or asphalt tile. While wood shingles can crack and warm, clay tiles have the common problem of gradually deteriorating over time when exposed to a lot of pressure from the weather. A good primer can help to protect your roof, but you may still need to pay for tile replacements occasionally. Finally, slate roofing is one of the most durable materials on the market, capable of lasting for between 75 and 150 years. Slate roofing has been around for many years, and it’s one of the most expensive options for your home. However, this material also stands out from the competition for its style, performance, and ability to hold up to almost any type of weather. The key to getting the most out of slate tiles is proper installation. These shingles can easily crack under a person’s weight, so make sure you choose the right team to apply them to your home.